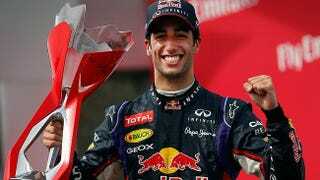 Everything that you, the average hater, want and need to know about RBR’s Aussie driver, Daniel Ricciardo. NOTHING. THERE’S NO WAY YOU CAN HATE THIS GUY. END OF DISCUSSION.